Peonies are relatively fragile flowers, both to grow and to maintain in cut flower arrangements. They require the right balance of light and water to thrive, and have difficulty growing in close proximity with others. 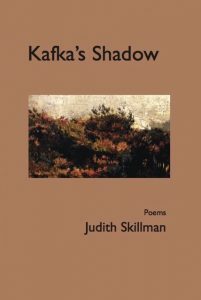 The fact that peonies were a favored flower of celebrated Czech writer Franz Kafka has not gone amiss for Judith Skillman; in her latest collection of poetry, Kafka’s Shadow, she frequently makes reference to it, alluding to Kafka’s own character and personal life, as well as his writings, in the process. full of walkers insular with autumn. The strain of Kafka’s authoritarian upbringing and subsequent taking of a “bread job”—a job one takes only to collect a salary, not for any personal satisfaction—to please his father informs so much of his writing, and Skillman returns to this theme of discontentment, of lack of fulfillment, in many ways, including, as we see above, the idea of a wound that must be constantly cleansed, yet never heals. not as soft as he would like. A dirty blonde in nylon stockings. The beauty of this poem, and all of the poems in which Felice features, is the emptiness of it: the veneer of love is there, but the actual substance of it is lacking. The balance has not been struck, and the metaphorical peony flower does not thrive. silks will be darkened in a few quarter hours (66). The consonant sounds reverberate throughout this passage, creating beautiful rhythms to highlight the sense of exaggerated reality through which Skillman pays homage to the collection’s namesake. In all, Judith Skillman’s Kafka’s Shadow offers both masterful craft and compelling insight into the life and character of Franz Kafka—well worth the time of both Kafka enthusiasts and those just becoming acquainted with his work alike. Issa M. Lewis is author of Infinite Collisions (Finishing Line Press, 2017) and was the 2013 recipient of the Lucille Clifton Poetry Prize chosen by Backbone Press. 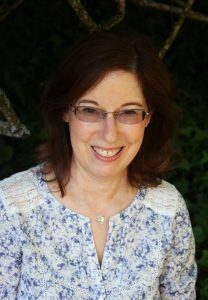 She has been published in journals such as Pearl, Naugatuck River Review, Jabberwock, and Mom Egg Review and teaches at Davenport University.